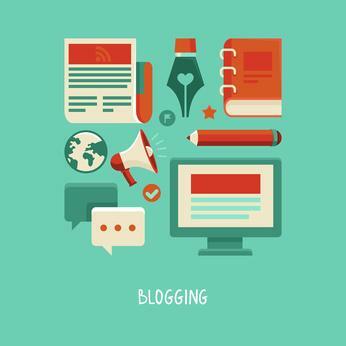 One of the most potent small business tools is a blog. With a blog you can harness a number of marketing channels: content marketing, press, SEO, brand awareness and more. It’s a worthwhile investment that can help you drive a lot of traffic to your website. Many website builders will have a blogging platform that you can use (at Yola, it’s Tumblr). If you haven’t started a blog yet, here’s a great article that will help you with the first steps. If you do have a blog and are feeling that it’s radio silence, then there are a few things you can do to boost views and drive qualified web traffic. Choose your keywords wisely. Make sure that your keywords are low competition and more “long tail” focused. This will help your website rank better. Keep in mind that it’s easier to rank for a keyword such as “best holiday recipes summer 2014” than “best recipes.” Before every blog post you write, have an understanding of what keywords you’d like to optimize for and tag your posts accordingly. Write about things that you care about and that your customers care about. This will add context, personality and humanity to your business. Quality is important. Don’t use your blog to merely sell products and services or talk about your company. Write about broader topics that are related to your company. Pay attention to what your audience wants to read. Be creative and syndicate your blog with other outlets. For example, we syndicate our blog on Alltop Small Business, because we write a lot of content that’s useful for all small business websites. You can also ask associations or larger, related blogs if you could write a guest post. This will provide you with valuable links back to your website and blog from an external source – a tactic that is guaranteed to help boost your search ranking over time. Be patient and don’t give up. Remember the old adage: “Rome wasn’t built in a day,” – well, neither was any business or blog post. Put in the effort, keep your energy high and all is coming.